Quick, effective mini-lessons with fiction and nonfiction passages build close reading skills needed for the new assessments. 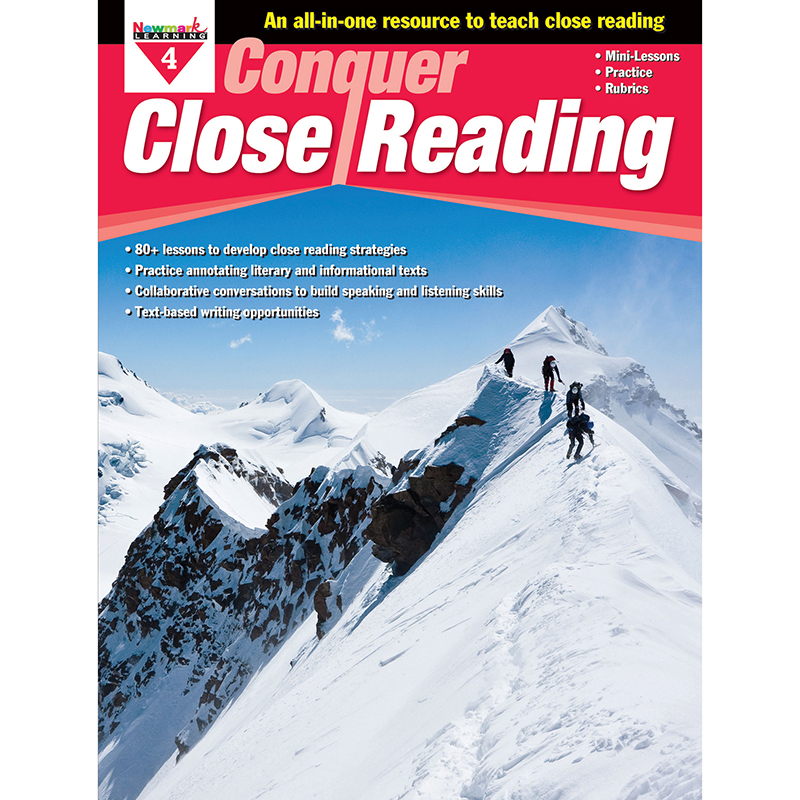 · 12 mini-lessons model close reading and include student practice pages. · Collaborative conversations for every activity build speaking and listening skills. · Annotation space alongside each reading passage build close reading skills. · Writing prompts encourage students to develop evidence-based responses. · Graphic organizers help students organize ideas and build understanding. · Meets Common Core and TEKS standards.